ZIMBABWE – The Federation of Zimbabwe Bodybuilding and Fitness will next week announce the team that will represent the country at the Arnold Classic in South Africa. Female bodybuilder Precious Mujuru will be part of the team as her participation at the event was long confirmed. Mujuru, other female and male body builders have become regular patrons at Aspire Gym situated at Rhodesville shopping centre in Harare where she has even got employment as a fitness trainer. Standardsport paid a visit to the gym to see Mujuru and other bodybuilders working out in preparation for the event. On arrival at the gym, one is greeted by nonstop music and continuous up and down movement by bodybuilders resembling ants on an anthill. The atmosphere in the gym has attracted many bodybuilders but Mujuru credits the staff at Aspire for the success. “I think for me, I have found my second home away from my residence. This is the place that I have known for years as a bodybuilder and I have even gone a step further by getting employed here. With this kind of training environment, the sky is the limit as we prepare for our next tournament,” Mujuru said. Her journey in bodybuilding is one that can be said to have by chance. After years of continued pass time training, her boss at the time persuaded her to take part in a body building competition and as fate would have it, she emerged victorious. She was a runner up to the champion of the day and walked away with a four plate stove despite her unwillingness to take part in the completion. “I have always been in and out of the gym since high school days. In 2010 I was inspired by my former employer Knox Mapfungautsi, who used to own a body fitness gym. “He convinced me to enter Miss Iron which was my first competition and I came second. 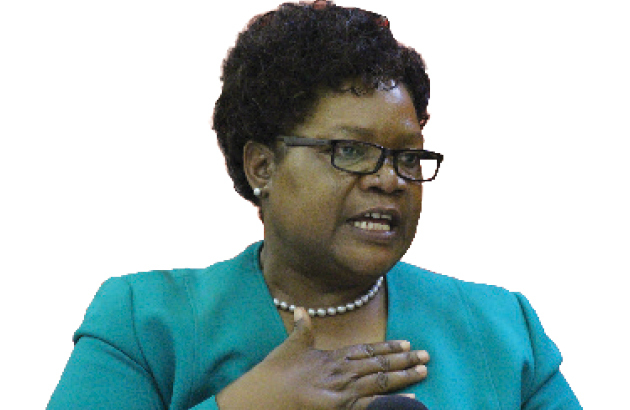 That encouraged me to take it further and work even harder,” said Mujuru. It has been five years and she is now a decorated sportperson after scooping second place in Miss Iron Zimbabwe, Miss Pro fitness 2012, Miss Muscle Mania 2014, third place Miss Zim Classics 2015, Miss Iron Zimbabwe 2015 and fifth place Miss Zimbabwe Figure. South Africa-bound Mujuru said she could not have achieved much without the help of her mother and Aspire Gym management. “To be where I am today there are a lot of people that helped me but my number one supporter is my mother. She did a lot in my career. Aspire Gym management has been by my side as well,” said Mujuru with a smile. Standardsport also spoke to the gym manager Ivanna Martin in an effort to establish how they have worked with Mujuru and other bodybuilders. “We have taken a different approach to this business. We have made sure that we do not charge clients exorbitant fees for our services and we employ renowned fitness trainers like Precious. That has been the secret. We have also allowed ourselves to accommodate clients at any time of the day with special charges for specific times of the day. We continue to assist a number of bodybuilders, some of who have even won at bigger stages,” she said. Other champions who have made Aspire Gym their sanctuary getting help from Mujuru include Demmy Ferrera (Miss Bikini Model, second place; Miss Bikini Zim Classics, sixth place Marathon Ladies Fitness battle), Hillary Wingiri (fifth place Mr Iron Physique, fourth Place Mr Physique Zim Classics and Top 10 Mr Zimbabwe Physique) among many others from various disciplines.